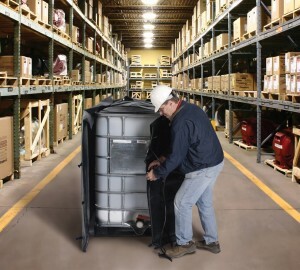 New methods for Heating IBC Materials & Totes are revolutionizing the way businesses do business. Problems surrounding the shipment of materials has plagued the industry for years. 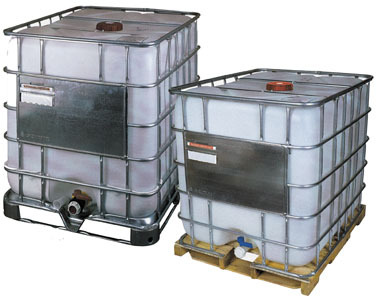 Freight cars that don’t adequately warm totes, warehouses that dip below freezing at night, or workers who don’t understand the science behind the compounds they’re using… all have contributed to the need for better technology in heating totes, drums, tanks, and buckets. The solution was quite easy… but the science behind the solution took a little time to develop. 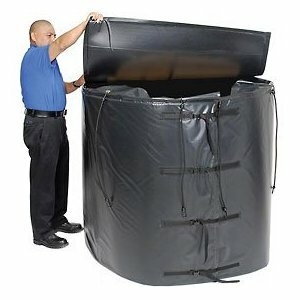 Figure out a way to heat a blanket made of carbon fiber material… insert a layer of insulation… and wrap the whole thing into a nice little vinyl blanket. The guys at POWERBLANKET did just that, but they took it a step further. Powerblanket included an adjustable thermostatic controller with heat probes to allow exact temperature monitoring 24/7. All Powerblanket Tote Heaters include an insulated (removable) top and adjustable straps for fitting larger or smaller containers. Throw in a UL / CSA rating and GREEN low energy consumption certifications and you have yourself a near perfect work of art. I suppose there are cheaper ways to try and heat a tote or IBC tank, but quite frankly, we couldn’t find any method that worked. We looked at blowers, non-electric blankets, immersion heaters, heat lamps, and a host of other contraptions, but they all failed at adequately heating and/or insulating the tote contents. Some of the devices we observed overheated and burned the tote or fluids while others simply couldn’t keep the tote above freezing in typical outdoor and winter warehouse conditions. The only exceptions were the Powerblanket and the overpriced Brisk-Heat blanket that didn’t include a top and required close to 3000 Watts at 240V to operate. Too much for too little. Our money is on the Powerblanket.